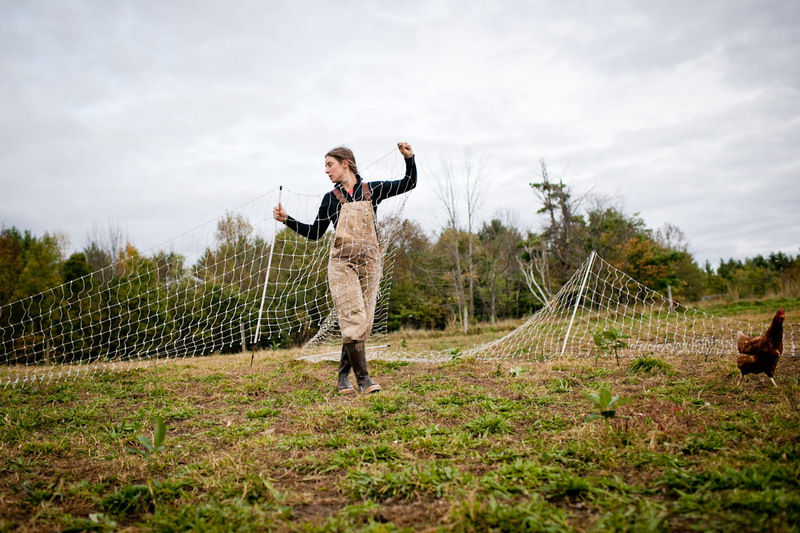 A farm worker moves fencing for Jericho Settlers' 1400 or so free-range hens. The chickens are frequently rotated and follow the cows and sheep. In the spring, after the birds are out on pasture, they pull composted pine shavings from the hen house and chicken manure to spread on the vegetable fields.